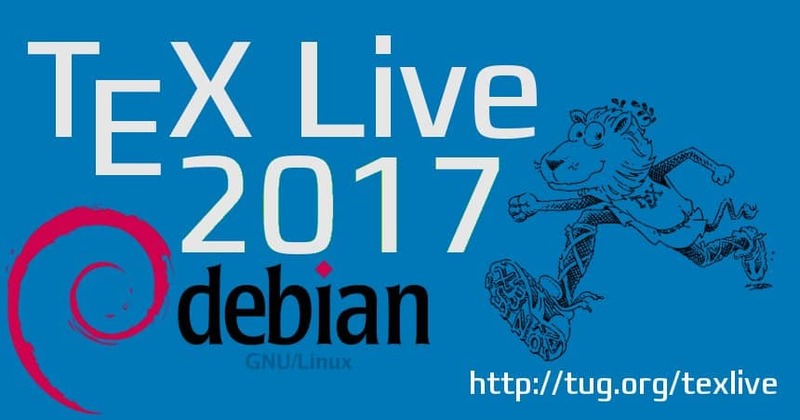 Halloween is over, Thanksgiving is over, snow is starting to fall here in Ishikawa, time for a new update of TeX Live (2017.20171128-1) – and this time also Biber (2.9-1) – in Debian. As usual, biblatex and Biber updates go hand in hand, so here we are with the newest version of the next-generation bibliography management for LaTeX. Other than this, nothing spectacular here but the usual flow of updates and new packages. Notably might be the IBM Plex font family (see the CTAN packages plex and plex-otf), which replaces Helvetica Neue on official IBM communications. A complete family with sans, serif, and mono in various weights. beamertheme-saintpetersburg, bxtexlogo, cm-mf-extra-bold, ctan-o-mat, gridslides, lyluatex, plex, plex-otf, simpleinvoice, xii-lat. GS1, abnt, adobemapping, afm2pl, amsldoc-it, amstex, amsthdoc-it, archaeologie, arsclassica, babel, babel-georgian, baskervillef, beamer, beebe, beilstein, besjournals, bib2gls, biber, biblatex, biblatex-abnt, biblatex-anonymous, biblatex-apa, biblatex-archaeology, biblatex-arthistory-bonn, biblatex-bookinother, biblatex-fiwi, biblatex-manuscripts-philology, biblatex-oxref, biblatex-publist, biblatex-realauthor, biblatex-sbl, biblatex-shortfields, bibtexu, c90, ccicons, cjkutils, cm, cmexb, cns, context, context-filter, context-fullpage, context-letter, context-title, contracard, crossreftools, crossrefware, cslatex, csplain, ctex, cyrillic-bin, cyrplain, datatool, datetime2-german, datetime2-spanish, dnp, ducksay, dvipos, dynkin-diagrams, eplain, etoolbox, europasscv, euxm, exam, feyn, fontspec, fontware, genmisc, glossaries, glossaries-extra, glyphlist, graphics-def, guide-to-latex, gustlib, gustprog, hyphen-base, impatient-cn, ipaex, iscram, jadetex, jlreq, jmn, kantlipsum, kluwer, kpathsea, l3build, l3experimental, l3kernel, l3packages, lambda, latex-bin, latex2e-help-texinfo-spanish, latexconfig, latexmk, limecv, lollipop, lt3graph, luatex, luatexja, lwarp, manfnt-font, mathtools, metafont, mex, mfirstuc, mflua, mltex, mptopdf, musicography, musixtex, novel, octave, omegaware, otibet, overlays, pdfpages, pdfwin, pkgloader, platex, pst-circ, pst-fractal, pst-ghsb, pst-pdgr, pst-plot, pxrubrica, qpxqtx, reledmac, repere, revtex4, roex, scsnowman, siunitx, srbook-mem, sympytexpackage, synctex, tetex, tex4ht, texdoc, texsis, tikzducks, tlshell, ttfutils, tugboat, turabian-formatting, unicode-math, uplatex, vlna, web, witharrows, xcharter, xecjk, xetex, xetexconfig, xii, xmltex, xmltexconfig, ycbook, zebra-goodies.